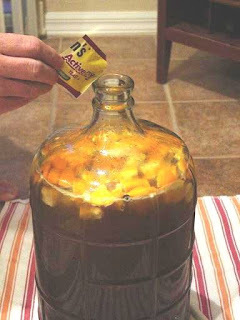 Recently, I've had a few people ask me how I am making my Orange Spiced Meade, and I've promised to give a demonstration. For those of you who aren't meade savvy, meade is wine made with honey. Sometimes it can be as dry and complex as a top-notch wine, and sometimes it is as sweet as a cordial. In this case, I am making a very sweet dessert wine, which has flavorings of oranges and spice and everything nice. This was my very first meade, and from my experience, it is the easiest to make. From start to finish, this meade will take approximately 8 weeks. For this example, I am using unfiltered, raw honey, but I recommend that a beginner use filtered honey. This is my second batch; the first batch I made with filtered honey, was much easier to clear and not as finicky. You can buy a gallon of filtered honey from any Big Box store like Sam's for around $20. 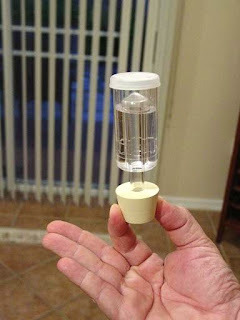 - 1 wine airlock – you can either find these online at either wine or beer hobby sites for around $3, or see if there is a wine/beer hobby shop near you. - An airlock rubber cork (this is basically a rubber cork with a hole in it where the airlock fits). 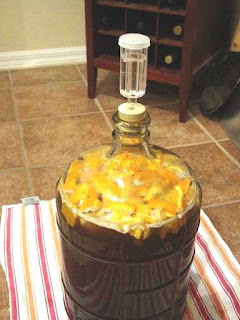 Use a clean 1 gallon carboy (a carboy is the same thing as a glass jug) . In these pictures, I am using a 3 gallon carboy...hey we do things big around here! 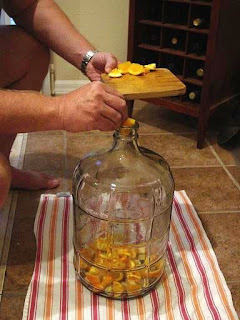 Wash orange well to remove any pesticides and slice in eights -- add orange, rinds and all to carboy. 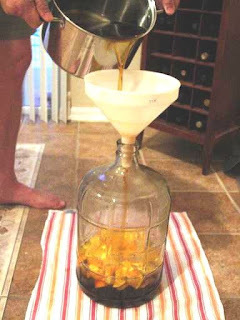 Dissolve honey in some warm water and pour in carboy using a clean, food-use only funnel (please don't use the one from your dad/husband's garage). Put in raisins, clove, cinnamon stick, and allspice berries. Fill carboy with water to 3 inches from the top with cold water. (leave room for some foam -- you can top off with more water after the first few day yeastie frenzy). When at room temperature in your kitchen, put in 1 teaspoon of bread yeast. Don't use grandma's bread yeast she bought years before she passed away in the 90's! You don't have to rehydrate it first. Give water mixture a gentle swirl. More stirring or shaking -- You're not listening, don't touch! STAY TUNED FOR WHAT HAPPENS NEXT....!!! This is just too cool! Can't wait to see the finished product. 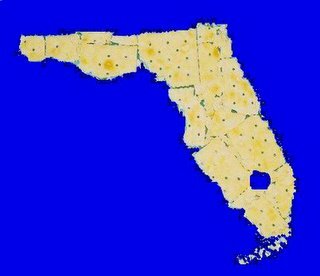 Very neat! Will return for the taste testing! Ohiomom & FC, it's super easy, but just requires a bit of patience and one or two trinkets to do the job! Kathy, I thought the process of making Mead was far more painful and complicated than it actually is. ... please tell me you started this wine 6½ weeks ago. Well, it's your fault for keeping this audience riveted.